Doctor Tracy Walker grew up just East of Elkins, WV, near the Cheat River. Dr. Walker studied at the University of Georgia College of Veterinary Medicine, with a focus on large animal medicine and surgery. After graduating from veterinary school, Dr. Walker continued her advanced training, clinical studies, and internship at the University of Georgia. 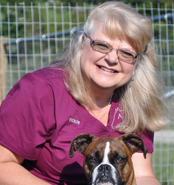 Aside from formal university training and education, Dr. Walker has traveled extensively throughout the country, where she gained significant hands-on veterinary experience. 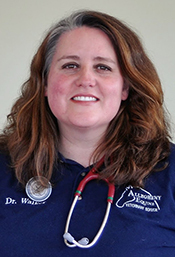 Despite much of her prior experience being related to the equine industry, Dr. Walker has extensive experience treating many types of livestock and companion animals. 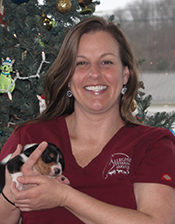 Following her education and training, Dr. Walker returned to practice veterinary medicine in West Virginia, after realizing that there is, indeed, no place like home. As a highly active member of several local and state organizations that contribute to the overall welfare of the community, as well as the veterinary profession, Dr. Walker proudly serves on the local Randolph County Park and Recreation Board, the Randolph County 4-H Leaders, and is an active member of the Randolph County Regional Riding Club. Dr. Walker has served as a state board member for the West Virginia Veterinary Medical Association. Dr. Walker is pleased to have become a member of the American Association of Equine Practitioners Professional Conduct and Ethics Committee as of 2012. In her spare time, Dr. Walker enjoys spending time riding any of her eight quarter horses and showing her cutting horse. Dr. Jessica Harvey is a Buckhannon native. She completed her undergraduate degree at West Virginia Wesleyan College. Her veterinary degree was done at St. George’s University with her clinical year being completed at Iowa State University. At Iowa State University, she focused on theriogenology and food animal production. After clinical year, she completed a 6 month internship at Iowa State in mixed animal to help prepare her for mixed animal practice. Dr. Harvey has had a love for cows since she can remember. She grew up raising beef cattle. Through 4-H and FFA, she showed and sold market hogs, market lambs, market goats, market rabbits, market steers, and feeder calves. She achieved her American FFA degree. During summer and winter breaks, she worked in a small animal clinic that allowed her to gain small animal experience. 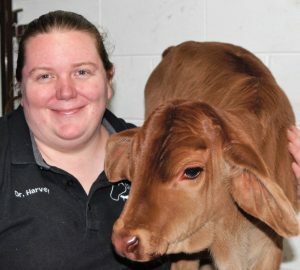 In her spare time, Dr. Harvey loves to spend time with her animals whether it be dogs, cats, or cows. She can also be found on a tractor if the occasion arises. Dr. Harvey’s main interests are food animal reproduction, herd health, and small animal surgery. Katie Mallow has been at AEVS since the Spring of 2006. She is originally from Beverly, and has been an avid horse owner for over 30 years. As a teenager, she was very active with 4-H and hunter/jumpers, and later showed AQHA on her mare, JJ Lea Breeze. Katie attended Morehead State University where she studied veterinary technology and received a Bachelor of Science in Agriculture and Animal Sciences and a minor in Business Management in 1997. After graduating, Katie remained in Kentucky for the next three years working as a broodmare manager at an established breeding operation. There she received extensive experience in breeding and foaling management. 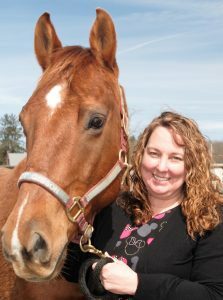 Katie handles many duties at AEVS from nursing care and client communication to billing and special orders. In her spare time, Katie enjoys spending time with her family, her Border Collie, Stella, and Australian Shepherd, Sis. Katie is a member of the American Association of Equine Veterinary Technicians. In September of 2015, Vickie Crosston joined our staff. A native of Elkins, she brings many years of experience in the field of healthcare to our team. We, and our clients, welcome her approachable and friendly personality to our office. She is a true asset to our team. 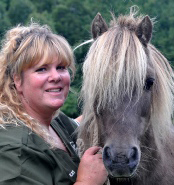 Vicki resides locally on a farm with her husband, dog, Bailey, a pony, and a horse. Vickie enjoys the company of her husband and grandchildren during her spare time. Amy Dewitt was raised in Kentucky, and moved back to Elkins in 2005 to be near her family. Amy worked for five years as part of the treatment team at the Beverly Pike Veterinary Clinic with Dr. Crissman and Dr. Walker and then left to raise her daughter. She rejoined the practice in Spring 2016 at our new location and we are so happy to have her! In her spare time, Amy enjoys spending time with her daughter and gardening. She shares her home with her three cats. Adam was raised in Randolph County. In 2016, he graduated from AB University with a B.S. in Biology and Environmental Science. He has volunteered his time and worked at the Randolph County Humane Society as an adoption specialist since 2007. 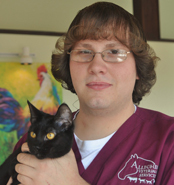 Adam plans to pursue a career in veterinary medicine and will be applying to veterinary school in the near future. In his spare time, Adam enjoys spending time with his cat Winifred, as well as with his dogs, Lola and Lucy. Adam is currently pursuing a veterinary technician degree through an AVMA accredited program and credentialing as a Registered Veterinary Technician. We are so proud to have Adam as a part of our treatment team! Elizabeth grew up in Marshall County, West Virginia on a family-owned farm. She was active in both 4-H and FFA. Elizabeth joined our team in October 2018. 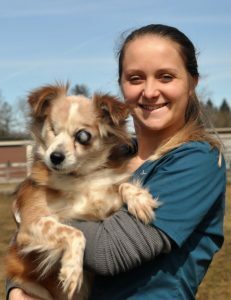 She brings with her over three years of experience from several small animal hospitals and humane shelters. Elizabeth is thrilled to be in Elkins and spends her time off fishing and hiking with her Australian cattle dog, Roscoe. Stacie joined us in early 2019. She brings with her tons of experience in client services and office management. She is eager to apply this experience in the veterinary setting. Stacie currently resides in Tucker county.